Pure social trading has been around since the advent of markets. The concept of social trading is vested in the collective mindset of the trading community. With social trading, anyone can mimic the activity of successful traders, since everything operates in a transparent fashion. Social trading is known by many names, including copy trading, social finance, and social investing. A form of social trading – angel investing – takes place when wealthy investors pool their resources together because they believe in one another’s methodology. Social trading really came to prominence after the global financial crisis, and thanks to social media it is firmly established in modern culture. Self-directed traders have been using the social trading avenue as an effective way to manage their financial affairs. By pooling their resources with fellow traders, they can spot lucrative opportunities and act on them. Since all traders are in it to win, there is zero conflict. The community of traders provides the crowd wisdom that individual traders can profit off. While social media is relatively ‘old’ by tech standards, online social trading is not. These social network platforms are designed primarily for traders and it uses social media functions and features to allow traders to communicate with others. The purpose of social trading is to learn from the actions of fellow traders. Social trading functionality includes messaging, real-time financial updates, information sharing, copying and profiting accordingly. While the number of credible social trading platforms is rather limited at present, they are of exceptionally high quality. The rise of social trading has grown in leaps and bounds, thanks to the benefits of this new technique. These include a reduced learning curve, plenty of friends with similar interests, and less need for research. The world’s leading social trading platforms opt for a combination of transparency, simplicity, and interaction. Since social trading is predicated on FinTech, it’s important that innovative technology continues to drive this revolution. The strengths and weaknesses of individual social trading platforms are apparent after conducting an extensive review. For example, a detailed Ayondo review confirms that easy execution of a wide range of financial products is possible. The company, like many other social trading platforms, is incorporated in the UK. It operates an integrated broker platform, with Yondo GmbH providing the social trading services. Traders can dabble in the financial markets with a retail trading hub for CFD trading on iOS and Android devices. The other option available to traders is the Copy Trading component. While the terms Copy Trading and Social Trading are largely interchangeable, there are differences between them. Traders get to leverage their capital but all funds are automatically divided among traders. 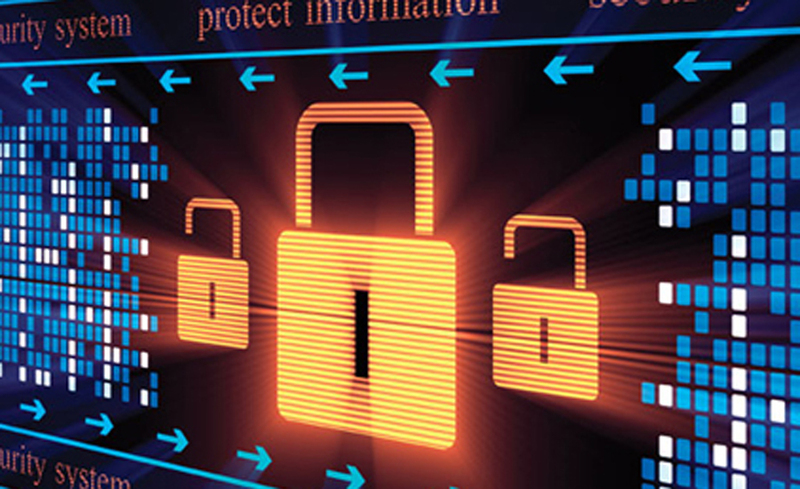 Loss prevention methods are possible, but no closer than 10%. There are limitations in terms of the contribution that a trader makes to your financial portfolio, and there is room for improvement in terms of customization. This social trading company currently has 1500 Top Traders for clients to choose from, a small number compared to the market leaders in social trading. Despite its shortcomings, Ayondo has grown significantly in recent months and is a dominant player on the scene. The social trading scene is heavily reliant on big data, and mobile communications. The most successful virtual trading platforms are accessible across multiple channels including web and mobile. Social trading is geared towards tearing down barriers to the financial markets by making it easy for anyone to trade at any time. Gone are the days when the suited and reputed brokerages were the only institutions available to day traders. The success of social trading platforms is vested in the simplicity of the trading experience. By connecting people on social trading networks, it’s possible to make decision making as easy as possible. Copy Trading is unique in that it allows traders to literally copy the trades of active traders in a passive way. The World Economic Forum regards social trading as the future of FinTech and a defining element of investment management. When it comes to the gambling industry, there’s no denying that things have been changing over the past decade or so. Online gambling – in particular online casinos – are becoming more and more popular all over the world and, as can be expected, this is having an effect on land-based casinos and the gambling industry as a whole. For those of us who are new to gambling and casinos, guides like Ladbrokes’ Clueless in the Casino can help us understand what we’re getting into. But with online casinos becoming more widely available, will we always need these kinds of guides? For years, casinos and gambling seemed to be a glamorous activity only for those of higher classes. However, over the years, land-based casinos have become more and more accessible for anyone. Online casinos are an example of this. Accessibility in the gambling industry had been on the rise, but online casinos make gambling more available to the masses than it has before. At the touch of a button, anyone can have access to any number of online games and live tables without needing to pay for expensive memberships at high end casinos or adhere to a dress code – you could play a game of blackjack in your pyjamas! Because of the accessibility that online casinos provide, attendance as a whole is on the rise, but not just online. While there are more and more people becoming involved in live tables and online slots, worldwide people have been attending land based casinos more often too. The advertisement for the gambling industry that online casinos offer can bring in people who might not otherwise have been interested in gambling. Improved acceptance for gambling as an industry and as a form of entertainment mean that more and more people are starting to get involved, whether that’s at an online casino, or in a land-based casino. With increased attendance comes increased revenue which in turn helps to expand and grow the industry. Gambling is becoming extremely profitable for those invested in it in one way or the other, and this can be put down at least partially to online casinos and their ease of access. Ecommerce and cryptocurrencies in particular are adding a new level of security and mobility to gambling online. The use of online payment methods, whether in fiat currencies or online cryptocurrencies or even through the use of card and contactless payments in a land-based casino itself all make for more secure and convenient payments. There is no need to pay in cash and risk losses or robberies when carrying around the cash, and withdrawing your winnings from an online casino has never been easier. Each online casino has a wealth of online payment services, so you can choose which ones fit you and your preferences more than others. Ecommerce is a growing industry in itself, and the cross over with online casinos is only improving the gambling industry for those that are a part of it. 2017 started out for Wall Street investors on a splendid note as stocks posted decent gains in a sharp contrast to the predictions of losses that had trailed Donald Trump’s unexpected victory in the 2016 elections. Investors were quick in warming up to the idea of a Trump presidency and they loved how his unconventional economic policies could spur growth on Wall Street. The gains on Wall Street were particularly sustained through the first and second quarters as shown in the chart below. The NASDAQ Composite gained 13.10%, the Dow Jones gained 7.38%, and the S&P 500 was up 7.33% in the first two quarters of the year. In fact, investors who had exposures to small cap stocks saw decent 3.65% gains. Interestingly, the VIX Index was down 13% within the same period. Interestingly, Tyrone Manning, an analyst at Wilkins Finance observes that “the gains in the market don’t appear to be slowing down even as stocks continue to book gains in the as third.” So far in the third quarter, the S&P 500 is up 3.23%, the NASDAQ is up 5.42% and the Dow is up 4.15% and the Russell 2000 is up 4.07% as seen in the chart below. More interesting is the fact that stocks have been booking decent gains in the last one month as the volatility index continues to fall in sharp contrast to prevailing geopolitical and economic developments. In the last one month, the S&P 500 gained 2.60%, the Dow Jones Industrial Average gained 2.52%, NASDAQ was up 2.79% and small caps were on soaring with 7.79% gains in the Russell 2000. In contrast, the CBOE S&P 500 Volatility Index (VIX) had crashed to about 12.0% in the last one month to indicate that investors are not anxious about the short-term direction of the market. 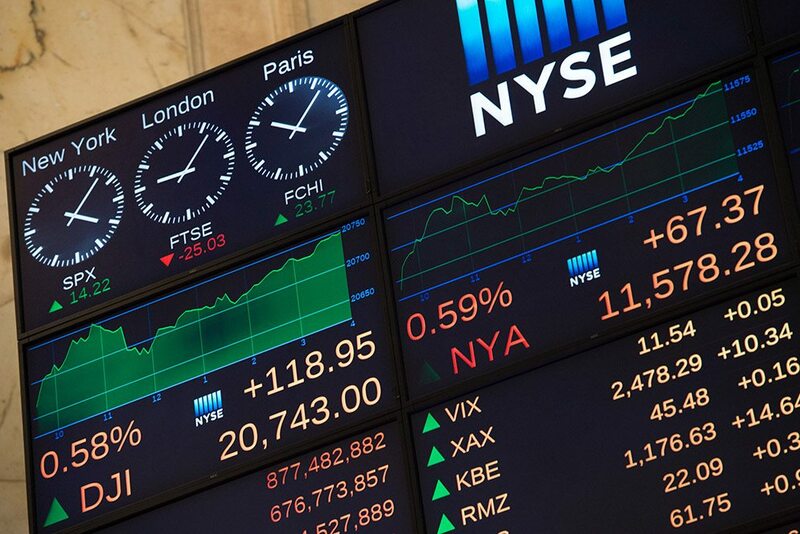 The stock market closed at record highs as June opened, following the creation of 138,000 jobs in May to bring unemployment down to 4.3 percent. The S&P 500 index reached an intraday record of 2,440.23 on June 2 to close at a record 2,349.07, a 0.4 percent increase of 9.01 points. The Dow Jones Industrial Average and Nasdaq Composite Index also hit all-time highs. 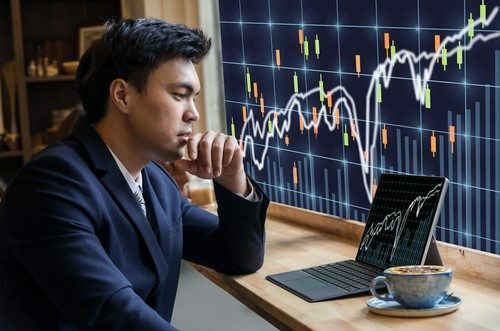 Whether or not this trend will continue hinges on a number of variables.These turbulent times keep investors on the edge of their seats, waiting to see whether their stocks are going up or down. Here are some technology tools to help you keep current on how your stocks are performing. Using the right smartphone will make managing your investments safer and easier. For safe mobile management of your investments, you’ll want a phone with strong security features. Your phone should also be fast enough to feed you investment data at real-time speeds. It should also have an operating system that lets you take advantage of the latest investing apps. An example of a phone that fits the bill is the Apple iPhone SE. A relative of the iPhone 6, designed for customers who prefer a smaller 4-inch screen, the SE contains all the same renowned security features as its larger cousin, including a Touch ID fingerprint sensor, lock screen capability, encryption and the ability to wipe out your data remotely if your phone is lost or stolen. Despite its small size, the SE packs power, with an A9 processor chip that clocks speeds 70 percent faster than its predecessor, while delivering graphics 80 percent faster. And the iPhone’s popularity ensures you that you’ll able to use today’s leading financial and investment management apps. Some of today’s popular apps are designed to help you keep track of your stock portfolio along with your general financial status. The Personal Capital app keeps you current on your portfolio performance, investment allocations, sector weighting, as well as your investment holdings, bank holdings, current balance and the value of your home. Banktivity Investor gives you instant information on your investment performance, with up-to-date quotes and news from Yahoo! Finance, along with 52-week hi/lo averages, dividend yields and additional details you can drill down into. SigFig acts as a mobile investment advisor, letting you not only see your investments in one place but also build a customized portfolio and even have it managed for you. Other apps help you keep up with the latest news in the stock world. StockTwits taps into Twitter to let you follow what traders and investors are saying about the stocks you own, as well as other companies people are talking about. Follow industry leaders, connect with other investors and check whether stocks are bullish or bearish before deciding how to invest. Bloomberg’s mobile app updates you on the latest business news developments as well as current stock market data and trends. When it comes to actively trading stocks from your mobile device, there are many apps available to assist you. If you’re new to online stock trading, a good app to get your feet wet is Robinhood, which lets you buy and stocks without paying a fee per trade. You can buy or sell at market price, make and stop limit orders and stop loss orders, with no minimum account requirement. If you’re already comfortable with online trading, you might be ready for more feature-rich platforms. The TD Ameritrade Mobile Trader app is geared toward advanced, active traders, letting you trade stocks, ETFs, forex, futures, options on futures and multi-leg options. To assist your investment decisions, the app provides customizable charts with hundreds of technical indicators and you can even text your investment advisor and share screens with them. The E*TRADE mobile app is geared toward professional traders, with advanced features such as real-time quotes, analyst reports, stock and ETF screeners, options chain filters and analytics tools. Travelling to America has become somewhat of a complicated process over the years, as unlike many countries around the world, there are a number of visa requirements that must be met, depending on the type of visit the traveler is looking to do. The impact of the 9/11 terrorist attack led to stricter security measures and the implementation of a number of visa procedures that were not in place prior to this. Since Donald Trump’s presidency, the travel situation has become even harder for citizens of certain countries, or even those with heritage from those countries and dual nationalities. While Trump believes this was put in place in order to try and protect the United States, this was met with international uproar, with many of his own supporters turning against him. With the monetary benefits of the travel ban being considered by the markets, and the potential future impact on stocks from companies within certain countries that could potentially be named on the travel ban if this was to progress, there are a number of concerns relating to it. Here, we’re discussing the different visa requirements and how Trump’s travel ban is set to impact the freedom of travel to the country. In order to gain access to the United States, there are a number of different options for travelers to choose from. Firstly, there is the ESTA Visa, which is part of the visa waiver program (we discuss this in further detail below). Then there is the B-1 and B-2 travel visas, that relate to the different types of travel visa requirements that may be included. Nonimmigrant visas for those travelling for business are classed as B-1 visas. Nonimmigrant visas for those travelling for pleasure, tourism or visiting are classed as B-2 visas. What Is The ESTA & Visa Waiver Program? The ESTA Visa (Electronic System for Travel Authorization) is an online system that helps the United States government to determine the eligibility of any travelers looking to head across the border. This system was introduced in 2009, and the concept behind this was to help enhance the security measures. There are a number of eligibility questions that come with the ESTA and this includes things about nationality, passport, criminal history and more. The ESTA comes as part of the Visa Waiver Program, which is currently specific to 38 countries. The concept behind this is that the government is able to allow certain countries’ citizens access to the United States without having to have a full visa. While these travelers are still vetted with the ESTA application process, meaning travelers who do not pass are required to obtain a full US visa, this can help to ensure that the entire visa process is smoother than ever. What Is Trump’s Travel Ban? On January 27th, President of the United States Donald Trump signed an executive order which was aimed at halting any form of refugee admission and temporarily ban travelers from a number of countries around the world. While this was revoked by a number of judges, this has now been passed and the latest travel restrictions now include North Korea and Venezuela, alongside other countries including Chad, Iran, Libya, Syria, Yemen and Somalia. Sudan was dropped from the travel ban. Nevertheless, a new travel ban is set to go in place in October 2017, and this could include further revisions. Will The Travel Ban Impact The US For The Worse? The initial implication of the travel ban resulted in a huge number of students, professionals and US citizens with dual nationalities being stopped at airports and refused entry to the country. This led to a number of sectors such as the financial trade markets, schools, hospitals and more being put to a halt, as a large number of workers and students were stopped from entering the country. While the United States Government are adamant that the travel ban will the US in a positive manner, there are some circumstances where this could backfire in the future. With a large majority of people taking part in protests across the country, and a response from around the world which even halted Donald Trump’s state visit to the United Kingdom, there could be a lot of backlash if the travel bans continue. A number of political movements since Donald Trump’s presidency has led to volatility in the financial markets. With every legislative decision relating to the travel of tourists and businessmen and women to the country, more businesses are set to close their doors. 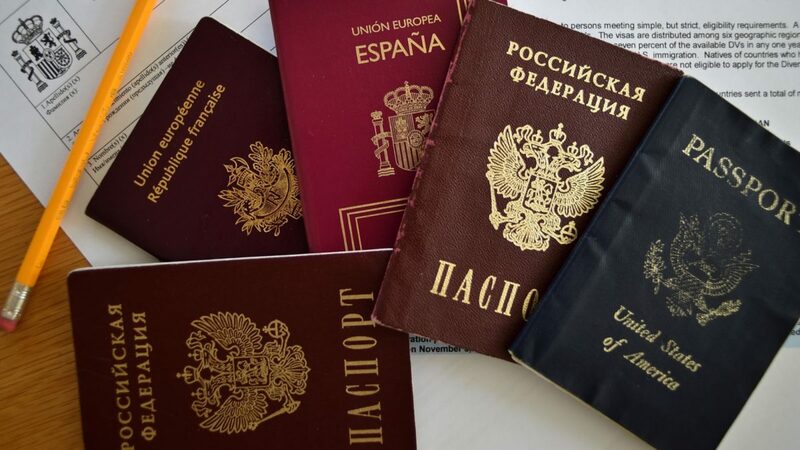 With recent terrorist attacks and the increase in radicalization amongst European citizens happening across Europe, America may re-evaluate the status of the 38-member countries that currently have access to the United States’ ESTA visa program. This could have even more of an impact not only on the financial industry, but across tourism and a broad range of other industries. Many people want to have career in financial sector these days, and the reason is growing demand for human resources in this sector. Career in finance is lucrative in terms of salaries or compensations. But, at the same time, there are a lot of challenges in this sector. Dealing with these challenges is important to survive in this field. The most challenging part is that career in finance would not be similar to other 6-7 hours a day jobs. There will be a lot of hassles, and one has to deal with those hassles by keeping calm. 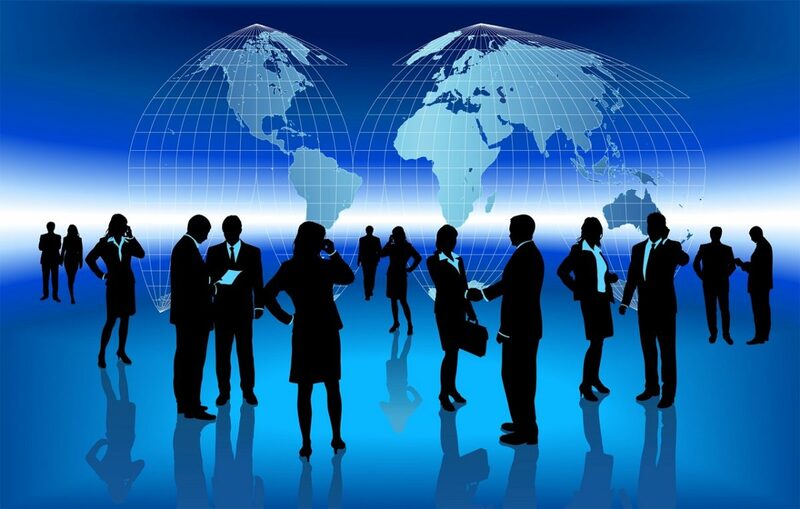 Moreover, people who want to work in this sector should update themselves quite regularly with the ever changing as well as dynamic global economic conditions. So, what are the best job options for the people who are interested in working financial sector? Several jobs are there in offering. Among those options, a few best options are discussed in the following section of the article. Reputed financial organizations and banks often hire loan officers to deal with the personal loan applications from the potential borrowers. Banks maintain strict policy for lending. They check applications carefully and judge repayment potential of the applicants. If it seems that applicant will payback loan with interest easily, only in that case loan has been sanctioned. To conduct the process of checking or scrutinizing applications, banks and other financial organizations hire loan officers. Career as loan officer is definitely appealing in terms of the salaries that are offered by banks. However, loan officers have to play crucial roles for the bank or their employers. Margin for errors is very little in this field. A small mistake can lead to huge financial losses for the organization. Thus, loan officers have tough roles to play for their employers. A financial analyst is the person who analyzes present financial conditions of a company or individual. Financial analysts have crucial roles to play for the employers. The job is not specific, as financial requirements as well as conditions vary from one person to another. Analysts need to evaluate financial conditions of the organization and have to provide the best investment as well as organizational expansion related suggestions. 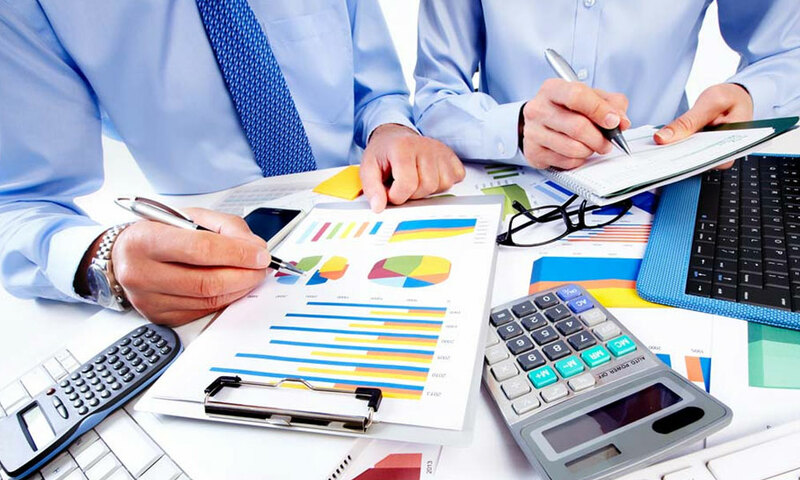 Without proper financial analysis, no company can take appropriate financial measures or decisions. Analysts also suggest employers or clients on getting various business or personal loans, including Payday Loans Now quick cash. Financial adviser is also like financial analyst, though advisers mainly serve consultancy services to the clients or employers. There are two ways of working as an advisor. The first way is working independently and seeking client based projects. The second option is finding a good employer, which is ready to offer lucrative salaries. In this field, high earning opportunity is almost certain, especially if you can emerge as a reputed as well as experienced financial adviser. Terrie Johnson is the author of this article, and he is a personal financial consultant. His article illustrates different aspects of global financial sector, and he also shares knowledge on Payday Loans Now quick cash. There is no denying the impact a blog can have on your business. 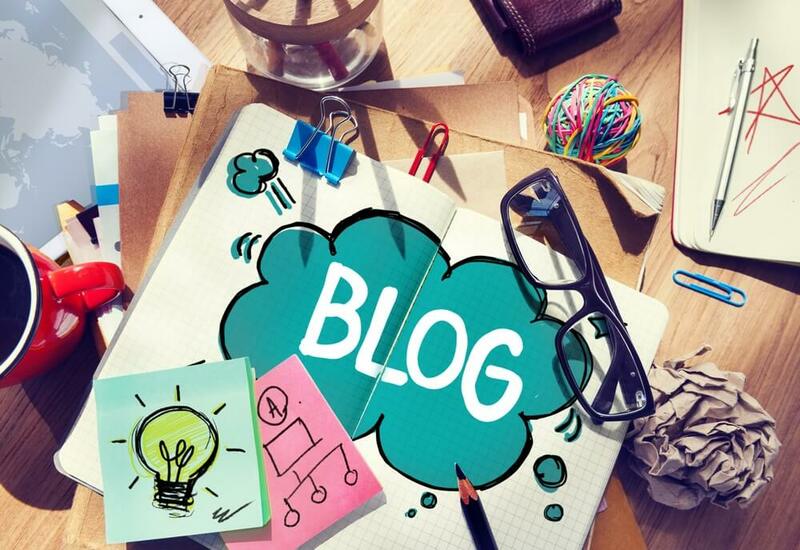 Blogging has better ROI compared to most marketing strategies and it also helps you interact with your target customers. Better still, you can quickly increase your brand’s authority in your niche by growing your followers. In a recent survey, B2B marketers who blog enjoyed 67% more leads than those who don’t. With this in mind, it is understandable that almost every business now runs a blog. However, the success of most of these blogs is dismal, the main reason being poor content. Most bloggers simply take marketing content from their websites in the hope of increasing traffic but this doesn’t wash with readers. Good content helps grow blogs faster and you will notice readers will start contributing. If you have been posting without any feedback from readers, it is likely that your content strategy is wrong. This is already a belabored point in the search engine optimization (SEO) community. While everyone appreciates the role of keywords in page indexing and SERPs ranking, there are so many ideas on how they should be used. For a blogger, it is important to research and use keywords that are relevant but most importantly, ensure your content tallies with the keyword choice. Once you have used keyword tools to get the best phrases, go ahead and put them to work. Use them in titles, Meta descriptions and headings. The idea is to give users exactly what they are searching for, hence the need to research on the right keywords. The trend now is to use long-tail phrases that users will most likely use on search engines. As a blogger, you have to appreciate that internet users have a short attention span. This means they are in a rush to find what they are looking for. Of course there is so much you would like to say in your post but it won’t matter if readers are not inspired to start reading. One way to captivate their attention is by asking thought-provoking questions, using statistics, a quote or a story. Unlike the rest of your website content, a blog post is supposed to be personal, interactive and conversational. Assume you are selling car spare parts in a particular city. If you are creating a blog post, it will obviously have something to do with cars. However, you can add a twist by talking about the main causes of accidents in your city. Include research in your post and later advise readers on how to avoid such accidents by buying the right car parts and proper maintenance. People don’t really care about your business and it is up to you to show how your services and products can add value to their lives. There are many other ideas to create great blog content; longer blog content, proper editing, simple language, unique content, punchy conclusions, using headings, and great blog design are other tips to consider. Whatever you do, make sure your blog content is captivating, fresh and relevant to your target audience.